At the time of the interview, Charles was appearing as Gangle in Love Never Dies at the Adelphi Theatre London. Love Never Dies: From the Gothic surrounds of the Paris Opera House to the dazzling heights of New York’s Coney Island, the Phantom returns. Andrew Lloyd Webber’s spectacular new musical reunites the masked Phantom with his only true love and musical protégé the stunningly beautiful Christine Daaé. Love Never Dies is a roller-coaster ride of intrigue, obsession and romance, where little is as it first appears. 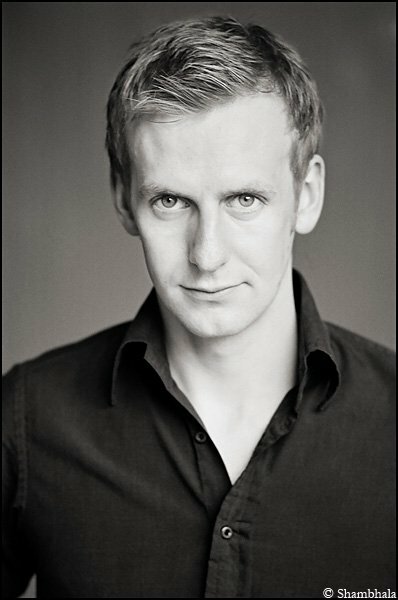 Born in 1982, Charles grew up in Hampshire and saw his first pantomime when he was three years old. He immediately got “bitten by the bug” and from that time he pestered his mum into taking him to “acting/singing/dancing classes”, until his seventh birthday, when his mother took him to his first tap class. At the age of nine, Charles made his West End debut in the original cast of Nine, and he also appeared in a few TV commercials and radio programmes. The highlight however, was being in the original cast of Oliver! at the London Palladium in 1994. From his early stage career, Charles has gone from strength to strength to his current role in Love Never Dies, being an inspiration for many young actors. It’s the story about the character before Love Never Dies takes place. I was working in the freak show in Coney Island to hide from the mob culture of Brooklyn. The phantom saved my life after I was attacked and they ripped out my vocal chords and my eye. The phantom created a vocal trumpet for me (the thing around my neck) and the eye patch. I am a Dr, but not a legal one! I have been going around killing off bad people with a syringe that I keep in the cloak (a bit like Dexter). Make-up: for a 7:30 show I have to start my make-up at 5:15. It takes a total of about 40 minutes to put on, I then have to powder a lot, and then apply a second layer. At the half-hour call, a person from wigs comes in to fit my jaw (which is attached round the back of my head), then the wig (I actually have bright blonde hair). Then the eye patch! As Act One begins I have a look at my character book. It’s basically a book I made with cut out pictures of freak shows on Coney Island. Plus a few notes about the character, to remind me what I’m doing. I recently asked Charles some questions about himself and Love Never Dies. At the age of three, my mother took me to see a panto in Southampton, which was ‘Mother Goose’. I got bitten by the bug then, I pestered my mum again and again to take me to acting/singing/dancing classes…. so for my seventh birthday my mum took me to a tap class, thinking I would ‘get it out of my system’…. but no it just ignited the flame! I soon started classes and managed to get an agent and my first West End job by the age of nine. I was signed up by the Sylvia Young agency, and made my West End debut in the original London cast of ‘Nine’. As a child I was in a few commercials, TV series, radio programmes etc but my favourite credit was being in the original revival cast of ‘Oliver!’ (the 1994 London Palladium one). Is Mother Goose a bad answer? I am continually inspired by the people I work with. I worked with Tommy Steele twice, and he was very inspiring! His professional working attitude and group moral lifting was just wonderful. What is it like performing as Gangle on Love Never Dies? I love the role and the show. Creating the character of Gangle was very complex and intense. His character intentions in each scene switch rapidly and I always have to sustain an air of tension about him, to make him always mysterious and interesting to the audience. You really have to internalise the characters thoughts/feelings to not make him look stupid. It’s the challenge of keeping the right balance between character acting and real life that makes every performance feel fresh. The really hard part is dealing with the costume! Heels, heavy cape, massive heavy hat, and the eye patch! It’s so odd not being able to see properly, there are moments onstage where I am completely blind. The most terrifying bit being the bows when I run forward (towards the pit) and I can’t see a thing. Also during ‘ladies, gents’ in Act Two, I can’t see a thing until presenting Meg in the hot air balloon. However, I am so thrilled to be part of a production that has the entire audience in the Stalls, Dress Circle and Upper Circle up on their feet at the end of each show! It really is quite moving to see the entire audience’s wonderful reaction at every performance! What do you usually do on your nights off from Love Never Dies? I like to chill out, recent days out have been: a weekend in Brighton/going to the cinema/going to fringe theatre events/working out in the gym/go swimming/doing bugger all (which is my favourite past time). Apart from Gangle what is a favourite role that you have performed? I played the character ‘Squidward Tentacles’ in the musical version of ‘Spongebob Squarepants’. It opened at the Hackney Empire in 2009, did a UK tour, and a short run at the Hammersmith Apollo. I loved that character! It was so much fun trying to re-create a well established cartoon character into a live performance on stage. To prepare for the role I bought 9 DVD’s of the TV programme and acted out every single one in my bedroom (my flatmates thought I went a bit weird in the head and starting locking their bedroom doors at night)…. it took ages to perfect the voice and the way he used his arms. Career-wise I would love to work in the National Theatre, Globe, a BBC Three comedy drama or a Mike Leigh film would be fab. I would also love to do a few projects in the USA. My sister works in Los Angeles and New York a lot, and I just love it out there. There are so many exciting projects always on the go out there! I currently live right in the heart of Soho, which is a quick three minute walk from the stage door. The food places and bars around there are so nice, really quirky and friendly. Not so good though on a Sunday morning, when the bottle clearing starts making a noise at 7:00am. When going out to dinner what is your favourite meal? I love a good all-you-can-eat Chinese! In fact the best Chinese restaurant in the world is in Manchester. It’s near the front of the Palace Theatre. It’s the only all-you-can-eat that does proper Chinese food… none of that deep fried crap. Oh yeah, I also love deep fried Mars Bars! Yum. I love Los Angeles, the weather, the relaxed lifestyle, the social scene, the acting industry, but most importantly – the Jurassic Park ride at Universal Studios! Thank you Charles for taking time out from your busy schedule!